Many pro musicians say that mastering is an art form that takes years to perfect. With so many plug-ins available it makes it easier for anyone to master their own music. Mastering has many meanings. 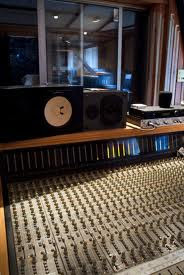 Today many mastering engineers try and make the recording sound as loud as possible without distortion and they apply corrective equalization and dynamic enhancement to improve upon sound translation on all playback systems. Basically they make the final mix sound great on any kind of system whether you are listening to it in your car or on your home stereo. Mastering is taking the final mix and transferring it to a master medium. During this process there may be slight adjustments of EQ and overall loudness to give it a polished sound. When mastering a full length album the mastering engineer also will make sure each song flows together nicely and that they are all the same volume. Too many new musicians think mastering is easy but it truly takes critical listening and practice.